It's the most wonderful time of the year! It really is, and my absolute favourite. I've been so excited to get stuck into these guides as during the festive period I am always searching blogs high and low to see what things they would recommend, especially this year as I've found a lot of my family really hard to buy for. Everybody is at that age in their lives where if they want something, they buy it so it's definitely tricky. In my life there are a lot of boys and me, so as you can imagine I don't get to think much about what to buy for women, but these pieces I've definitely thought carefully over. 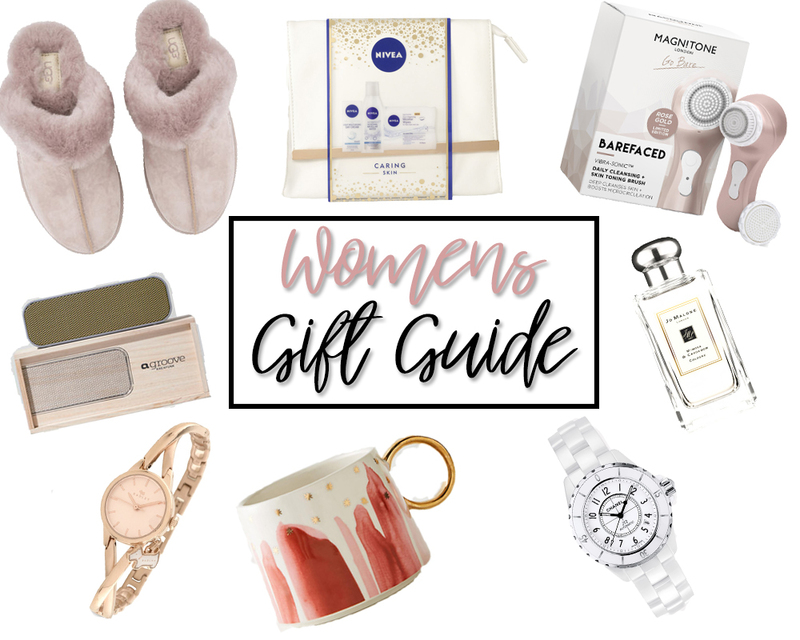 Here's to the first gift guide of the season and I can't wait to show you what else is in store. Perfume is another safe bet, and one that will always be appreciated without fail. It's something you can't go wrong with, especially if it's Jo Malone. There is something just that little bit more special when you unwrap the paper to discover the beautiful cream and black signature boxes. My favourite scent is Mimosa and Cardamom but doesn't seem to be one many others reach for - definitely worth a shot if you want to play it safe. Pyjamas and coffee cups, they go hand in hand when it comes to Mums right? They certainly do in this household, and for Instagram purposes these are perfect. In a similar thought to the slippers, you know they're useful gifts as they'll get plenty of use. They're reasonable in price and are always rell received, a go to for a secret santa / friend. Any product marked with * has been gifted for this post. MY TRAVEL BUCKET LIST, FOUR PLACES IN FOUR YEARS.